Build faster and bigger with a new consumable in both Battle Royale and the Playground game mode. A new Horde Challenge week arrives to Save the World! Imagine new ways to play with the Spiky Stadium. Give it a throw and an arena will appear, ready to go for any mini-game your squad can think up. We love seeing your creativity, so share the way you play using #FortnitePlayground. This new consumable creates a massive fortress to defend against and repel enemies! 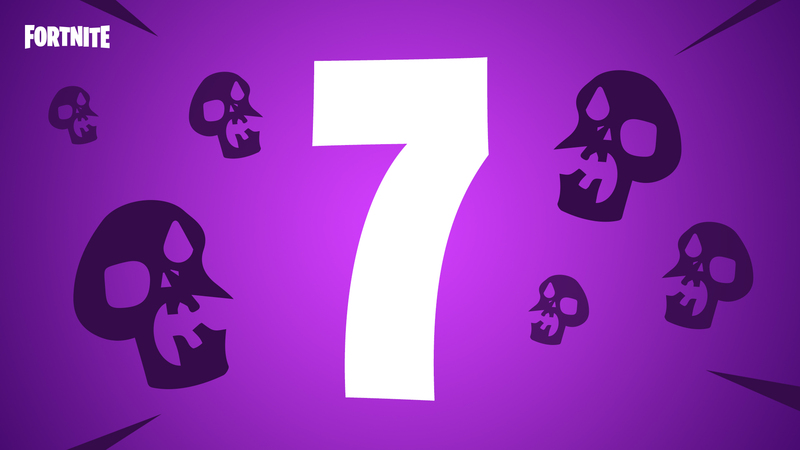 Many Husks have gathered for this weeks Horde Challenge and this crowd can’t be controlled! Strike down enemies with the newest weapon in the Flintlock set, spare none! CPU optimization for Xbox One (optimized memory copy operations). This is expected to improve performance. Optimized file layout on Xbox One to improve streaming performance. This should reduce instances of buildings rendering in late. Decreased Jetpack fuel burn rate by 50% while this LTM is active. Classic Battle Royale with gliders that can be re-deployed by pressing Jump when falling from large heights. 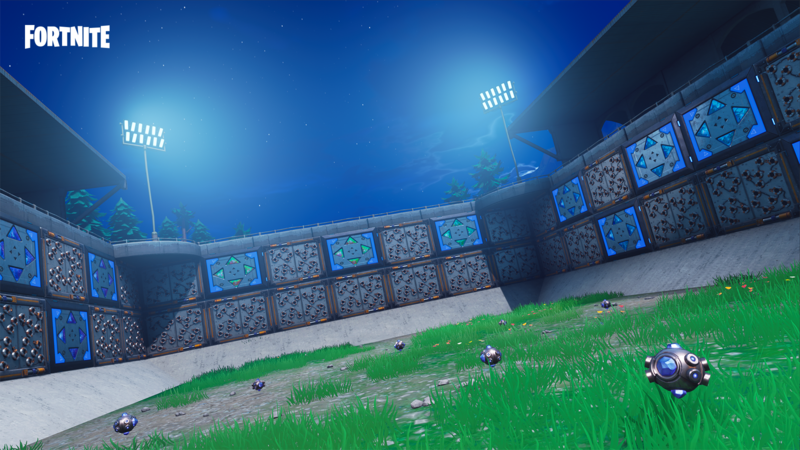 We've introduced a new consumable to the Playground LTM that will allow you to spawn an entire Spiky Stadium. We were inspired by the amazing things you've been making within Playground, and cannot wait to see what you create as we continue to build out the future of creative mode in Fortnite. Present in Playground only, found in red Supply Drops (along with a ton of impulse grenades). Builds a 7x11 sized stadium full of Damage Traps and Bouncers. Includes built-in Bouncers for an easy exit. Found in Vending Machines, chests, Supply Drops, and Supply Llamas. Fixed an issue where there was a slight delay when consuming multiple Small Shield Potions. The Grappler will no longer result in an inability to change equipment. Reduced the edit button hold timing when using a controller. Old School from 0.25s to 0.2s. Quick Builder from 0.25s to 0.2s. Combat Pro from 0.25s to 0.2s. Builder Pro from 0.25s to 0.15s. The Storm wall no longer destroys structures during the last few circles of the match. Unsupported characters within in-game names will now show up as �, rather than the fallback debugging font glyph that was previously used. Loading the fallback font was causing long hitches for clients, so we've disabled it. Hidden Matchmaking Delay feature has been added to the Options in the Game tab. Fixed an issue causing the reticle to not appear until after you've switched weapons. Added new generic icons to represent console and desktop platforms for cross-platform play. Added edge glow to wall bounce pads, only visible from the reverse side. This is to help players recognize when a wall bounce pad is on the opposite side of a ledge in front of them. CUBE visual effects will no longer get stuck after a player has left the area. The Grill Sergeant Outfit will now render properly in-game. This fixes the issue where players were seeing a floating head and pickaxe. This week, deploy your fort against hordes of enemies who are immune to crowd control effects. Stuns, knockbacks and slowing fields won’t help you this time! Earn 1500 Gold for the first-time completion. This challenge is repeatable for Event Tickets. Available Wednesday, September 19th at 8 PM ET. Fixed an issue preventing players from being able to complete Storm Shield Defense side missions. The Keen Eyes ability now properly highlights nearby loot. 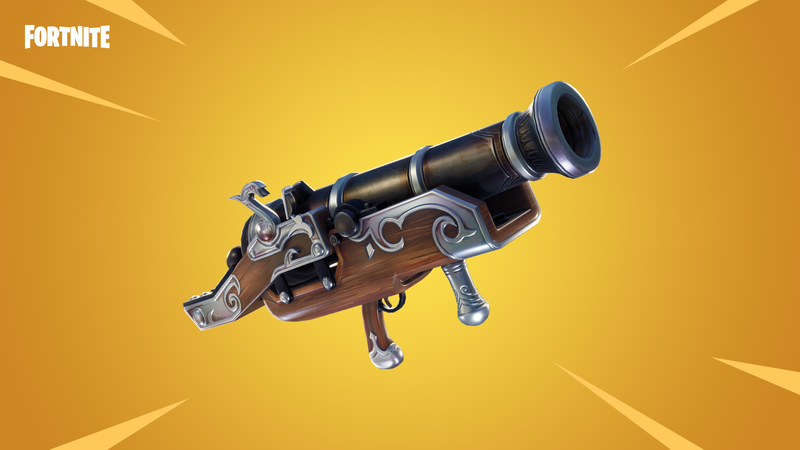 Bowler Flintlock Launcher added to the Weekly Store. Fires cannon balls that damage and knockback groups of enemies. The cannon balls can bounce before exploding, damaging nearby enemies with each bounce. Available Wednesday, September 19 at 8 PM ET until Wednesday, September 26 at 8 PM ET.